Sorry, I really want to hit some other places but, demands of the season mean quick local trips for my morning walk. There are a few other areas of Babcock-Webb that I want to introduce you to but, they’ll have to wait. Today was a pretty good day. After everything had hunkered down for the cold snap, things were waking up. I drove down and parked past the Peace River Wildlife Center near the seawall. I took a look up toward the shore path and the waders were pretty far out. 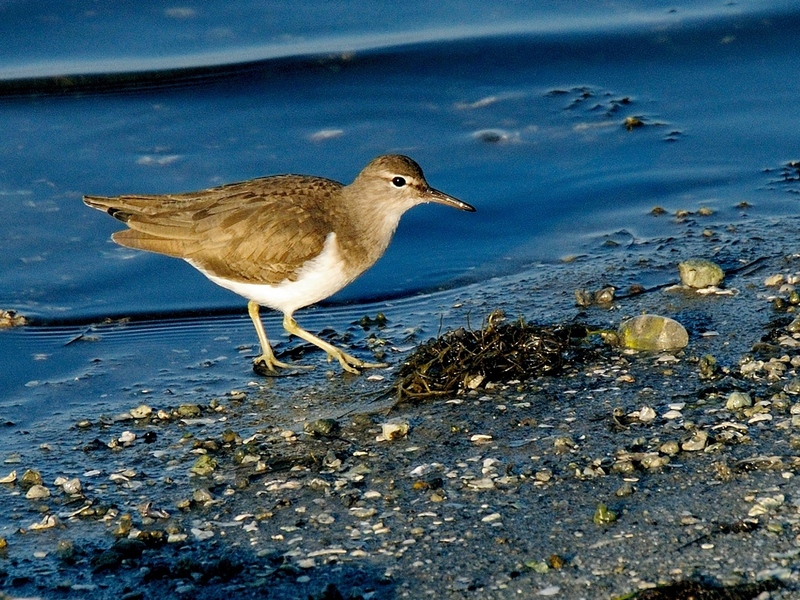 I did see this little Solitary Sandpiper – Tringa solitaria wading in closer to the wall. I took a couple of shots of it and walked down to the fishing pier near the boatramp. 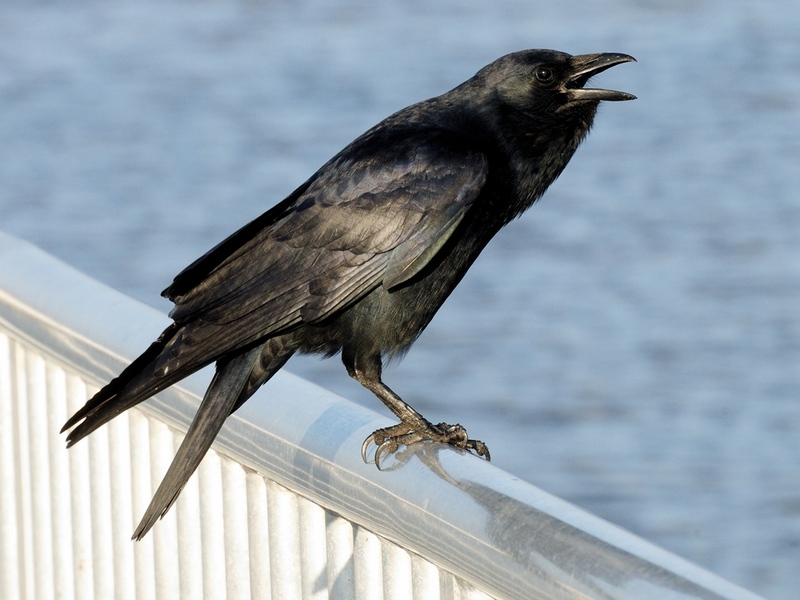 Nothing was fishing too close to shore and the pelicans were out on the channel markers and there was nothng around but this Fish Crow – Corvus ossifragus who was looking around for dropped bait on the pier. The nature path was productive. As I crossed the bridge I spooked a trio of Hooded Mergansers who quickly took cover under the overhanging mangroves. When I got to the Nature Walk fishing pier, things were very lively. Pelicans were flying back and forth to the roost but at a bad sun angle for taking pictures. That wasn’t the case for the other birds though. 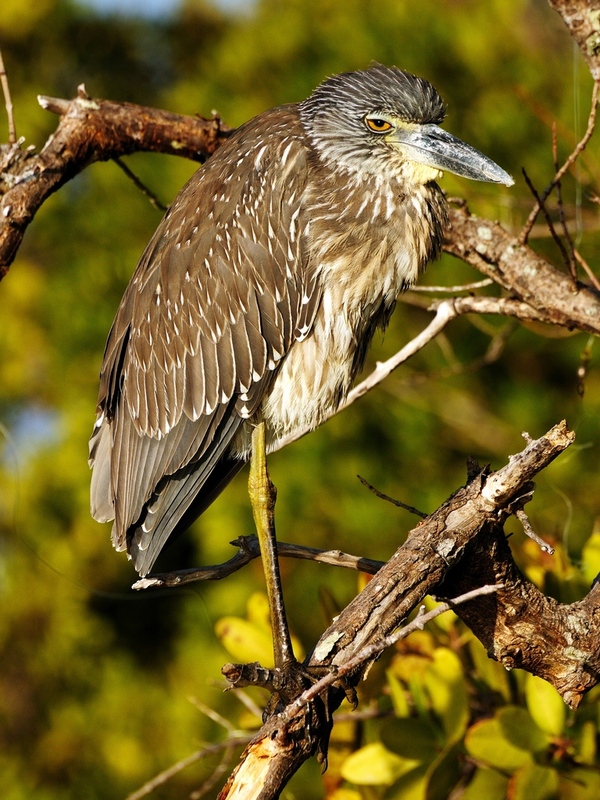 An immature Yellow-crowned Night Heron was warming up on the fish lure tree. 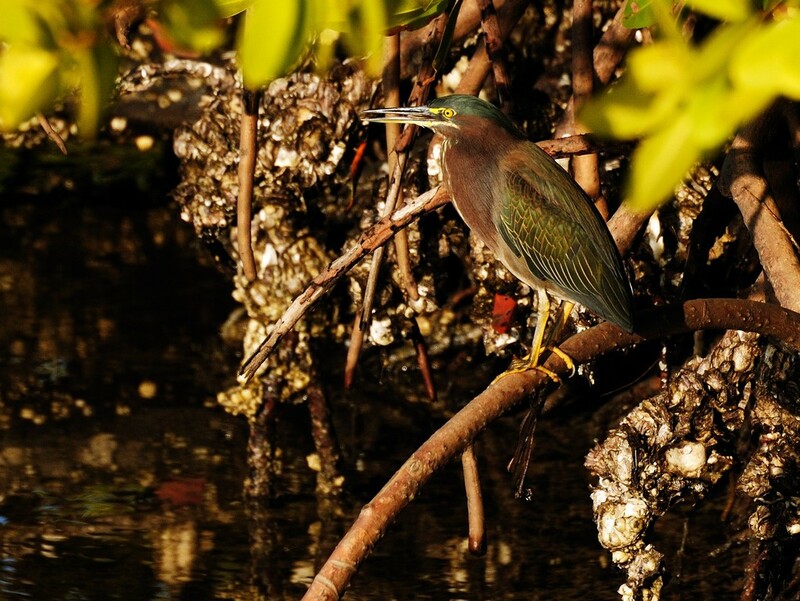 Here are two shots of it showing how easily it blends into the background of the mangroves where it usually hides. They are so thick that flight is difficult and the birds primary defense is to stand incredibly still unless a threat gets very close. It can defend itself pretty well with that beak. I’ve seen them pierce crab shells all the way through with one blow. But, it wasn’t the only bird near the dock. 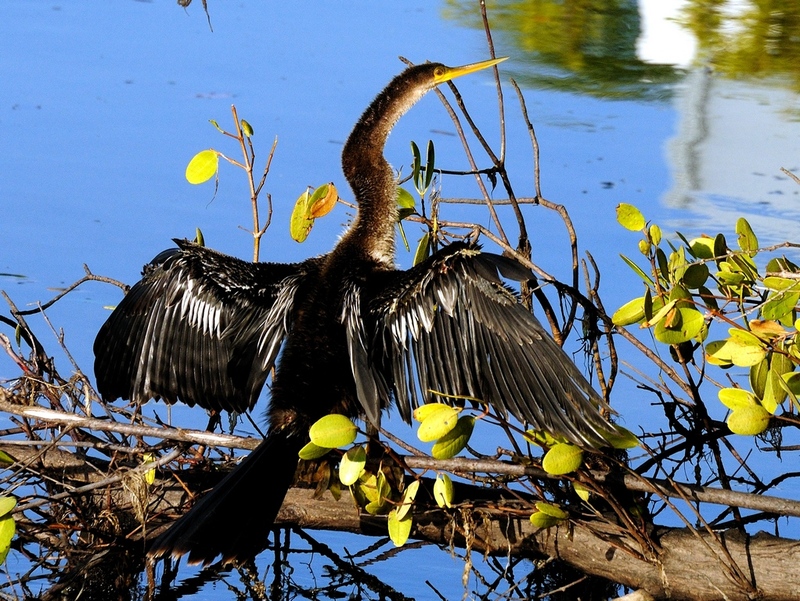 Below it, drying out from a dive was an Anhinga. And just off to the side from the Anhinga was a Little Green Heron. 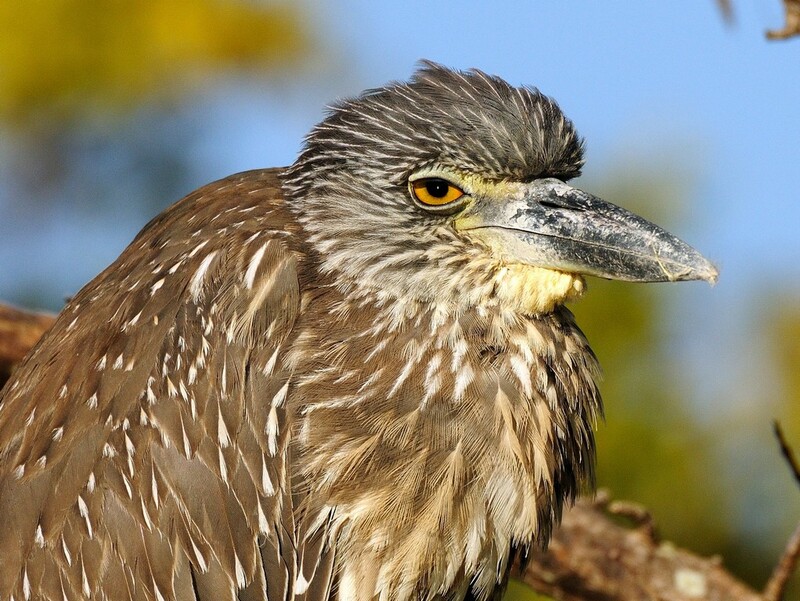 This entry was posted in Bird, Park, Park - Ponce de Leon and tagged anhinga, Green heron, Photography, Ponce de Leon Park, Yellow-cerowned Night Heron. Bookmark the permalink.